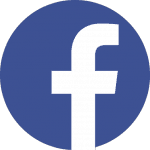 April 3, 2019 by Dr. Matthew Wittrig D.D.S. 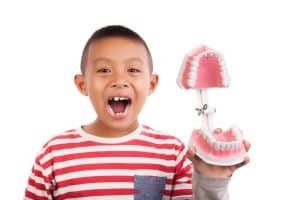 A trip to the dentist may seem like an easy, routine task, but it can be incredibly scary for children who aren’t used to having their teeth cleaned and examined. There are new smells, loud noises from the tools, and fear about the unknowns of whether the teeth cleaning will hurt. Some children also feel fearful about getting separated from their parents. If this is the case for your child, keep in mind that it is totally normal for kids to feel frightened about something new or unknown, and there are some practical ways you can help manage the visit so that it’s pleasant for everyone. Set expectations: Prepare your child for the dentist by giving them a simple, straightforward explanation about what will happen during the visit. Leave the more complex questions for the dentist to answer, who is better equipped to explain in a friendly, non-threatening way. Talk about the importance of dental health: Teach your children about the benefits of taking good care of their teeth and gums, and let them know that the dentist is helping them be as healthy as they can be. Don’t share stories about negative experiences: While many of us have experienced a painful or unpleasant visit to the dentist, it’s not a good idea to share those stories with your kids. Children need to see that you are calm and unafraid of the office, so stay away from words like “shot” or “pain”, even if you think it’s going to help prepare them. Bring a calming toy. A soothing toy can be a welcome distraction during a dental visit. Just be sure to call ahead and make sure the toy is suitable to have in the dental chair during the examination. Use positive reinforcement. Most children respond well to praise and affirmation, so continue to focus on telling them how brave they are how proud you are of their good behavior. Calm, positive feedback during a tantrum can go a long way. None of that is working? : There are a few sedatives we can offer in the office to keep a child calm during the visit. Someone from the dental staff can discuss those options if it’s necessary. 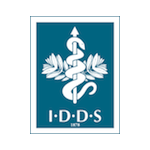 March 5, 2019 by Dr. Matthew Wittrig D.D.S. When most people think about their oral health, they think about being cavity-free and having white, straight teeth. But one of the most important aspects of making sure your mouth is healthy is taking good care of the tissue around your teeth–your gums. If you don’t practice good oral hygiene like regular brushing and flossing, plaque can build up along the gum line. Over time, bacteria from that plaque can start to damage your gums and lead to gum disease, which can cause significant issues if left untreated. How do I know if I might have gum disease? If left untreated, gum disease can progress to periodontitis, which infects the bone that supports your teeth and causes permanent damage to the tissue around the teeth. 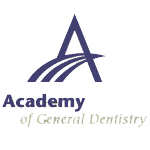 The gums can start to recede from the teeth, large spaces can form between teeth, and permanent teeth can even fall out. Fortunately, gum disease is very preventable and reversible if caught early, and there are some simple things you can add to your daily routine to keep your gums healthy. Some advice is more obvious: get regular dental cleanings, brush your teeth at least twice a day, and floss daily to remove plaque buildup between teeth. One of the less obvious ways to improve your oral health is to stop smoking. According to the Centers for Disease Control and Prevention (CDC), smoking can cause severe gum disease, and smokers are twice as likely to get gum disease as non-smokers. If you start to see symptoms of gum disease, schedule an appointment with your dentist right away. It’s important to catch gum disease early to be able to treat it effectively and reverse any damage. 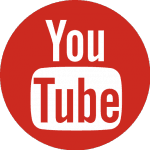 February 4, 2019 by Dr. Matthew Wittrig D.D.S. 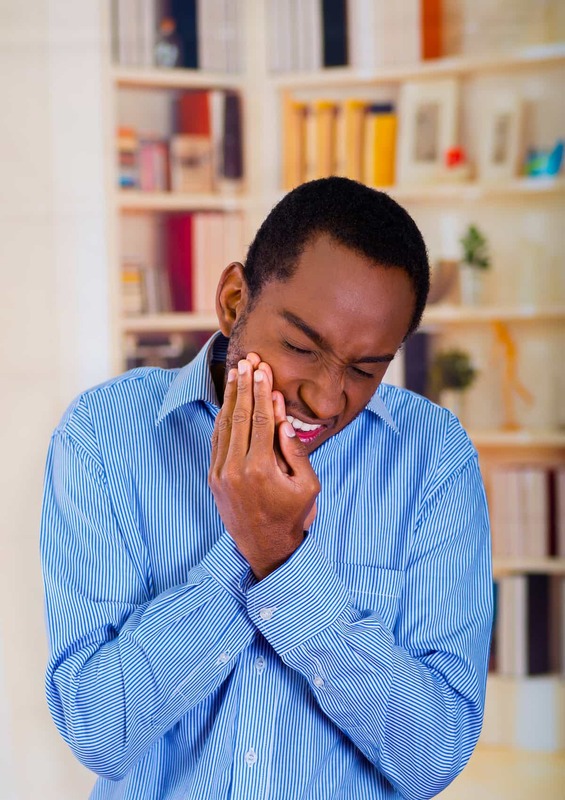 TMJ, which affects the TMJ joint that connects your lower and upper jaw, can be an extremely painful condition that makes even the most normal parts of your day like talking and chewing incredibly unpleasant. Just like any other joint in the body, your TMJ can swell and become painful, which can lead to limited movement and radiating pain in your head and neck. TMJ is most often caused by stress. Many people unknowingly clench their teeth when they’re feeling stressed, which puts a lot of tension on the TMJ joint and surrounding muscles. 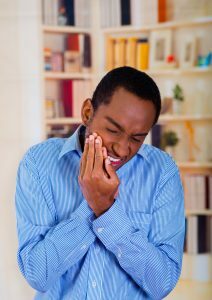 Stress can also lead to teeth grinding at night, which irritates the muscles around the joint and can cause a lot of swelling. Sometimes, TMJ is caused by things like teeth misalignment, overuse, or an injury. How do I know if I might have TMJ? A dental examination can help check the joints and muscles for inflammation to confirm that any of these symptoms are being caused by TMJ. Some cases of TMJ can simply be treated the way you would treat any other joint pain — heat or ice on the joint, rest, and an over-the-counter anti-inflammatory medication such as ibuprofen. You can also use common techniques like breathing exercises and meditation to decrease levels of stress if you think that your tension could be stress-related. If your TMJ could be caused by overuse, you can avoid things like chewing gum or eating sticky foods. When cases of TMJ are more severe, a dentist can recommend some exercises to strengthen the jaw muscles, prescribe stronger medication to help relax the muscles and make them less inflamed, or even create a night guard or bite plate to help eliminate clenching and grinding at night to give the joint the opportunity to relax and heal. Whether your symptoms of TMJ are mild or more severe, it’s always a good idea to get professional advice from a dentist so you can identify and treat the cause of the pain before it gets worse. January 3, 2019 by Dr. Matthew Wittrig D.D.S. Coffee, tea, pop, smoking, and even dyes in food can cause discoloration of your teeth. 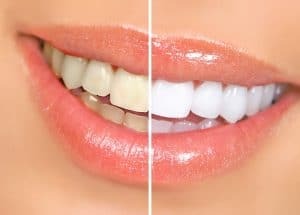 If you are unable to remove these stains or discolorations with brushing, you may be considering whitening/bleaching your teeth. If so, we recommend that you only seek whitening services provided by a dentist and not the at-home kits or even salon services you may come across. The primary concern with any at-home kits (or non-dental professional provided service) is the strength and/or ingredients in these kits. Many kits use hydrogen peroxide, carbamide peroxide, or an abrasive product in their kits. These ingredients can actually cause more harm than good. Anything too abrasive will damage your enamel and cause tooth sensitivity. The same goes for too much peroxide of any kind. Damaged enamel can leave you open to bigger dental problems like tooth decay. Even though these kits focus on the teeth, you may discover that the mouth guard or strips provided do not fit your teeth perfectly. The problem with this is if the gel or cream used in a kit touches your gums excessively (or is too strong), you may experience gum irritation or even chemical burns. Due to this, many countries have limits on the amount of peroxide at-home kits can have. At-home kits also do not take into consideration any existing dental problems you have like tooth sensitivity, crowns, and gum problems. A dentist can adjust the amount of the products used during your whitening to not cause you any additional discomfort in any sensitive areas. Crowns, veneers, bridges, etc. 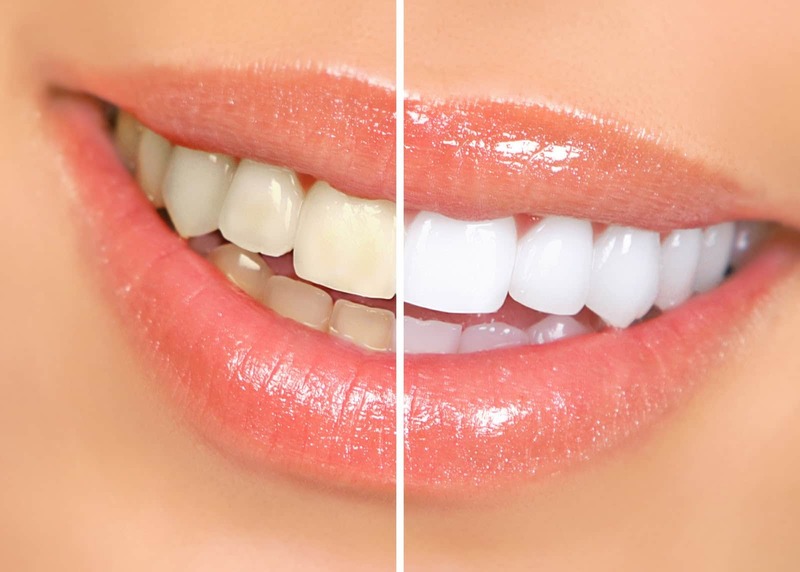 cannot be whitened, but a dentist has the ability to match the coloring of your semi-permanent dental fixtures, to allow for a more natural looking smile. If you are unhappy with the appearance of your teeth, call our office at 317-882-4028 to schedule an appointment to discuss if teeth whitening is right for you. December 6, 2018 by Dr. Matthew Wittrig D.D.S. Denture relining is a simple but required step in caring for your dentures and oral health. After any teeth are removed from their ‘normal’ place in your mouth, the tissue and even bone can begin to breakdown and cause the gum line to change shape and density. Due to this, every-so-often, you need to have your dentures relined to help keep them comfortable and provide a better fit. There are three types of relining – hard, soft, or temporary relining. Each serve a different purpose and provide different benefits. Below will provide you with a brief overview as to each type. 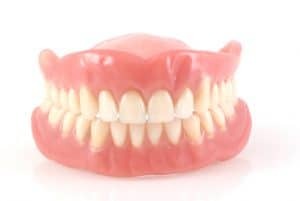 Hard: It is recommended that everyone who has dentures get their dentures hard relined every 2 years. If they do not, they will begin to experience shifting and their dentures not fitting correctly. This can cause many issues including sores from the dentures. During a hard reline, your dentist will make an impression of your mouth will putty. Using this impression, the dentist and/or lab will add acrylic adjust your dentures to make them fit properly in your mouth (again). Soft: If your dentures cause sore spots due to your gums being tender, your dentist make recommend a soft reline instead of a hard reline. This relining technique uses a waxy or more rubbery material that will last 1 – 2 years and stays somewhat pliable for increased comfort. Temporary: If it has been a long time since you had your dentures relined, and your gums are swollen or irritated, your dentist may recommend a temporary reline. Temporary relining involves a soft, pliable material that allows your dentures to fit more comfortably, until you can get them soft or hard relined, or a new set of dentures. 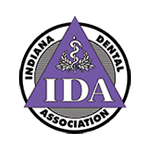 Any time your dentures cause you discomfort, you should immediately schedule an appointment with your dentist. Your dentist can evaluate your dentures and your current oral health and make a recommendation for relining, based your individual needs.